I was born in Canada but my father’s family was from Antrim County this was my way of learning about my Irish Heritage. My wife was born in Salt hill, Galway and came to Canada in 1970 where we meet and married in 1974, we then became involved with the club over the years at Christmas and St Patrick’s Day events. .
During my 39 years with TD Bank and raising three children it was difficult to become as involved with the club as much as I would have liked to. Retiring seven years ago has afforded me this opportunity and I joined the Board 5 years ago as treasurer. It is a fulfilling and rewarding way of the serving the club. Enjoy the many events and people associated with the club. We can all enjoy the various activities that take place here over the year. 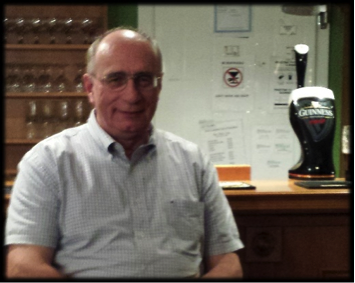 You can reach Jack at treasurer@irishclubhamilton.ca.